QUESTION : Do you have TONS of paper with Classified Data to destroy? ANSWER: If so…….You Need a Disintegrator! handle your destruction mission – Now What? Disintegrators (aka Industrial Shredders) are a different animal. will help make the installation a smooth process. LOCATION: Where the system is to be deployed is important and should normally be in a 1st floor warehouse type environment with ample space, wide door access and a loading dock. The smallest systems will require a minimum of 11’ x 11’ with an 8’ 4” ceiling. Download the Disintegrator Floor Plan Engineering Drawing to help demonstrate the required space. Make sure you have a minimum of 3 feet around the system to allow for easy access and future maintenance of the equipment. Positioning near the loading dock with dumpsters / compactors, etc, will make disposal of the waste bags much easier. In larger systems where an outside waste system is deployed as shown here, the location of the system close to the outside collection is important. Wall coring and the potentially pouring of concrete pads outside to mount filters and air system support stands may also be required for larger systems. during non-business hours or consider an SEM Sound Enclosure that will dramatically reduce noise levels. DUST: Because disintegrators cut the paper to such a small particle, it is inevitable that some dust will be created, so make sure that your space is suitable for this. With advanced evacuation/filter systems, briquettors and sound enclosures, much of the dust can be captured. However, when bags are emptied, etc some of it is bound to escape. There is no such thing as a dust-proof disintegrator! WHEN TO INSTALL: Disintegrators can take up to two to five days to install. How will installation and temporary disruption effect your operation? So plan ahead. OPERATOR TRAINING: Think through how you intend to use the machine. Will you have dedicated operators who are responsible for feeding and maintaining the machine, or will you expect to give the key to whoever needs to shred, even though they may have never used a disintegrator before. If your answer is the latter, I would suggest you reconsider, or make sure there is some form of supervision/training for your new users. What Should I Expect At Time of Installation? In most cases you will be required to receive, store and protect the equipment until the installation team arrives. Storing it in the installation space and out of the weather is ideal. Make sure installation space is clean and power disconnects are in and ready. Have fork truck capable of moving equipment into the install site and man-lift if necessary. You will need to have your licensed electrician present during the installation for electrical connections as well as interconnecting wiring and material. You should have a dumpster close by so the install team can deposit the crating materials and waste from the install to keep the site clean. Make sure you have an adequate amount of paper-at least a few hundred pounds to train your staff and test the equipment. Once the installation and testing are complete, the training of your staff on the operation and daily maintenance will be done. An installation manual for your equipment will be provided. The installer should supply a Workers Protection Plan. The plan will designate a competent person responsible for all facets of the installation. The plan will provide details of the vendor’s safety program. This will include items like work rules, safety training, and accident reporting. The installer will indicate whether they are ISO14001 compliant and provide a copy of their Environmental Management System (EMS) Manual. The installer should supply mechanical and electrical drawings illustrating how their equipment will fit into the space required. The installer will provide proof of Liability Insurance with at least $1,000,000.00 in coverage. Hopefully, this guide will help you know what to expect so you can get prepared and have a very smooth disintegrator installation, and you will be up and shredding in no time! 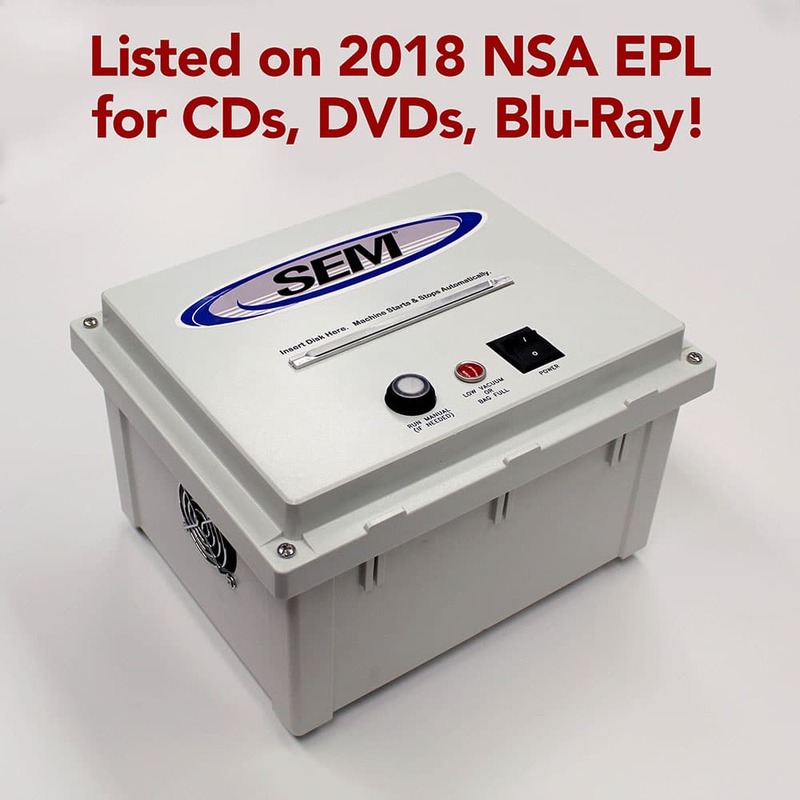 For more information, visit our web site at www.semshred.com or call us at 800-225-9293.